Not everyone is in favor of iPhone. Android mobile devices make up a huge share of the market as well. And Apps for Android are also highly in demand such as the hot Pokemon Go for Android, Google Play Music, Netflx, BuzzFeed etc. But here we focus on free music apps for Android. A roundup of the best free music download app for Android, best free music player app for Android and free music radio app for Android is presented here for Android users to free download music, play music and radio music on Android offline or online. If you are not interested in my rant, please scroll down to where you can obtain a benefit. MacX YouTube Downloader - best-ever free music downloader to free download music MP3 MP4 FLV, etc. from YouTube, Vimeo, Vevo, Facebook, SoundCloud, etc. 300+ music sites for playback on Android phone or tablet. 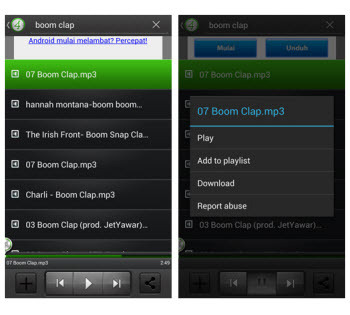 To free download music on Android, the free music app you need is the free music download app for Android. Below I will list out the top three music download apps for Android, from which just pick out the one that suits you best. 4Shared Music, not familiar? No biggie! Once you have a try on this free music download app for Android, you will be attracted by it deeply. Say, without registering account, you can log in with your Facebook account and then breezily enjoy free music download experience. Using your 'Search' menu item you can look for music files you like and add them to your playlist at 4shared Music. And this free music app for Android is also a great source of music free downloading, alongside with up to 5,965,819 music tracks. Attention: free music download doesn't 100% equal to legal music download with copyright owner's permission. Take in mind that you get the copyright permission before music downloading. Special program optimization offers you high conversion speed. 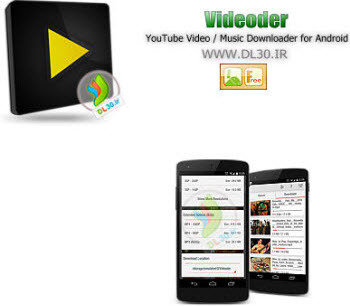 Here comes another YouTube music download app for Android-Videoder, which not only free download music MP3 MP4 on Android device, but also get FLV, 3GP, WebM music download on Android with resolution including 1080P, 720P, 480P, 360P, etc. What's also special to me is that this free music app for Android even enables you to stream any music video/audio prior to downloading it. This is really essential if you wish to apply the app to stream music. More features are waiting for you to dig out. After you utilize the above-mentioned free Android music download apps to get music downloads on Android, you're then in the demand of looking for a free music player app for Android. Which music player app for Android on earth is really excellent? Read on, please. 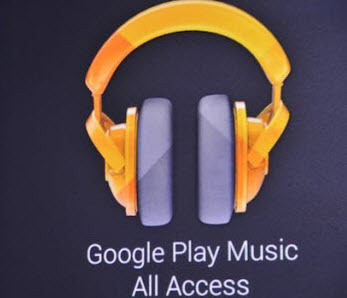 When it comes to free music player app for Android, how could we miss Google Play Music? As its name suggests, it's a professional yet free music player app for Android to let you play and listen to music even when you're not connected (offline). What's better, it even empowers you to store up to 50,000 songs from your personal music collection, such an enormous space, right? Certainly, you can also apply this free music app for Android to download Google Play music and listen to radio music online. 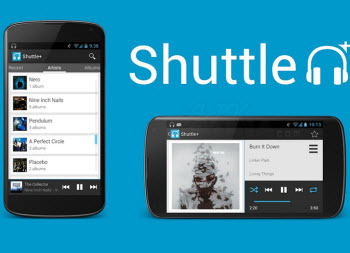 Without complicated decoration, this free music app for Android called Shuttle Music Player leaves you an impression with lightweight, ease of use and simplicity. You can just play your music video or music audio files on Android mobile device without further adjustment, like audio codec, sample rate, Bit Rate, etc. Of course, there are also tons of theme options, including light & dark mode for you to customize to ensure your gapless music playback. 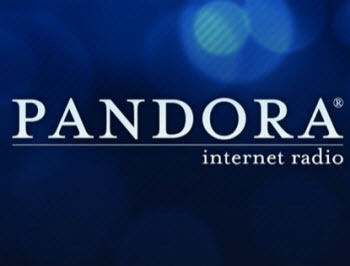 Pandora Radio, undoubtedly, is regarded as the most famous and established online radio platform. And this free music radio app for Android version of Pandora is free to download MP3, and allows you to create up to 100 radio stations (just need to enter artist, genre or composer to create) with your free account. This free music app for Android has already attracted 0.1-0.5 billion users to install. Its popularity is as plain as daylight. 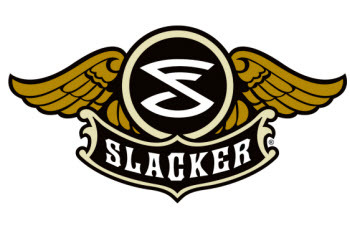 The second free music app for Android to listen to music radio online goes to Slacker, which is an amazing Android music app to let you listen to radio music for free and stream music, as well. Yet, one thing you should know is that if you don't spend a single penny on it, there are limited features are available for totally free. Providing pay any money, congrats, you'll be entitled to enjoy more unlimited streaming of customized radio stations. To sum up, I have shown you the practical free music apps for Android to download play music on Android, as well as listen to radio music on Android mobile device. If you also desire to directly download music to Android from more music sharing websites like YouTube, Vimeo, Vevo, Instagram, Facebook, Soundcloud, etc. in MP4 MP3 MKV AVI FLV, etc, MacX Video Converter Pro can meet all your needs with greatest ease.